I love a good portable palette. I’m kind of silly like that because while I enjoy the convenience of having everything I need in one place, I usually take a full roller suitcase out of town with me for a weekend trip anyway. Last time I went out of town, it was for three days, and I brought all full size skin and hair care, as well as three palettes. THREE! Maybe my New Year’s resolution will be to try and be more low maintenance in the new year…but don’t hold your breath. Old habits die hard. But if I was going to be a smart packer, I’d probably start by taking Laura Mercier’s Portable Colour Palette for Eyes, Cheeks & Lips with me. This palette reminds me of a mini NAKED palette. 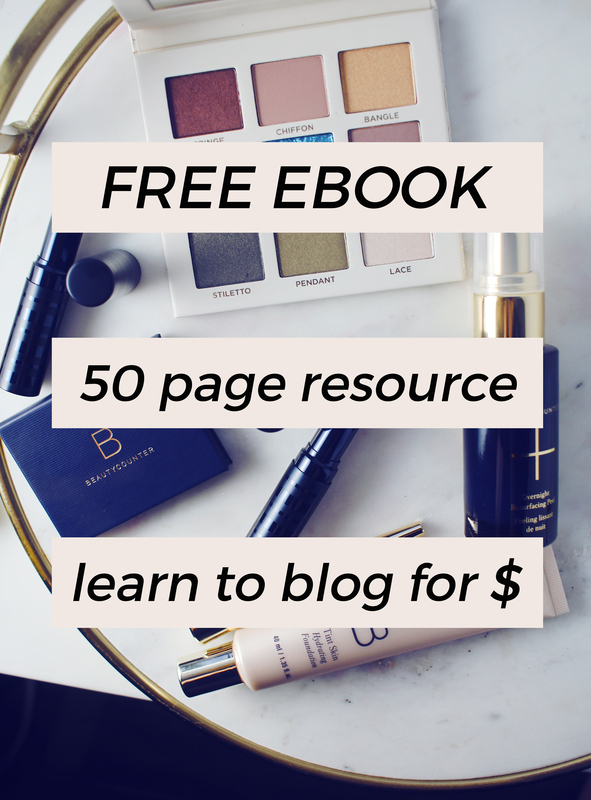 What you get here is a complete look with three eyeshadows, a tightline cake liner, two blushes, and a lip gloss. The most pleasant surprise about this palette is that quality is not sacrificed for the quantity. Often times, these little palettes pack a ton of products in one case but none of them seem to represent the quality of the regular full sized items. I’ve tried a couple of Laura Mercier’s eyeshadow singles before and several lip glacés, and I can tell you that the quality of this palette is spot on with the regular line. I had heard of the Tightline Cake Liner before but wasn’t totally positive how to use it. After doing a little digging I learned that you can create a “tightline” by using a flat eye liner brush dipped in clean water and working the cake liner into a thick paste. Apply the liner underneath the root of the upper lash line by wiggling the brush between individual lashes. That’s more effort than I typically put into my eyeliner routine but I tried it anyway. I thought it lasted as long as wearing eyeliner that I draw on with a pencil and looked really nice. 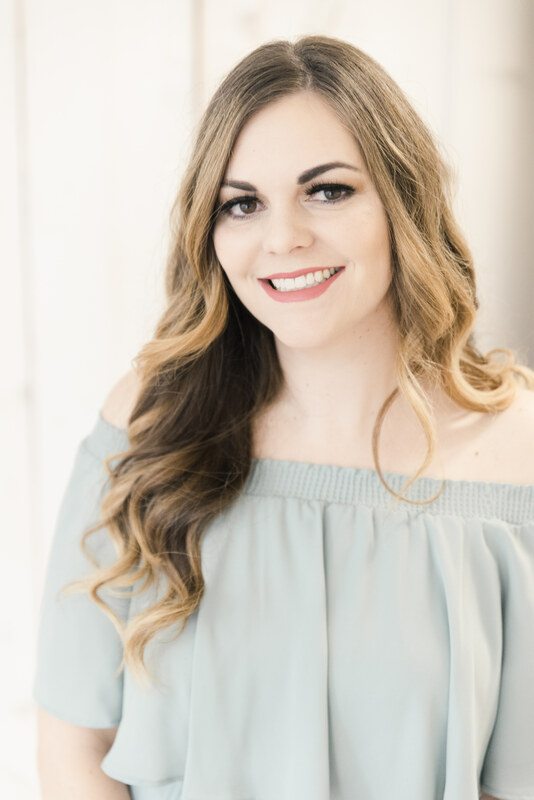 I used it to tightline as well as to line my lashes normally. Since the texture of the cake liner when it’s dry is like an eyeshadow, I’m sure you could use this as eyeshadow as well. The lip glacé is a really flattering color that matches the makeup found in the palette well. I found it to be really moisturizing which was great, since the formula of the lip glacé from the fall line was a little drying on me. I like that you get two blushes here. Both shades are really nice. 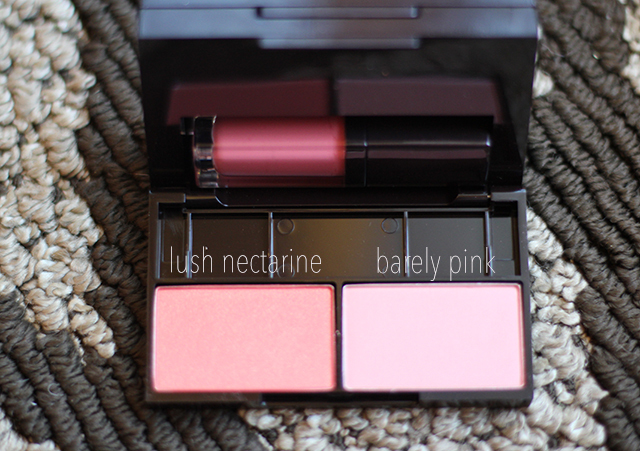 I have been experimenting with blush lately since I seem to have accrued so much recently. In the picture below I am wearing Barely Pink on my whole cheek area, and just Lush Nectarine on the apples of my cheek. I love the look of layering a lighter and a brighter blush together. I think it makes it look more natural by varying the intensity and shades. I’m wearing everything in the palette here. I’ve been wearing glasses a lot lately and I find that if I’m not careful, my makeup can look overwhelming with glasses- especially my eye makeup. I like that this palette is pretty, has flattering shades, and gives a low key makeup look. I don’t feel like my eyes are too done up for glasses here, but they do look like I did something to define them a bit. For $55 I think this is a pretty darn good deal. The only other makeup I am wearing is Laura Mercier’s Smooth Finish Flawless Fluide Foundation in Shell that I just picked up from the VIB sale, Urban Decay Primer potion in Eden, and Laura Mercier Faux Lash Mascara. I only needed a blush brush, one eye shadow brush, and a slanted eye liner brush to create this whole look. Super low key, and I still look put together. I can’t picture myself packing to go out of town with only a foundation, primer, three makeup brushes, and this palette, but hey, at least now I know it’s possible! Have you seen this palette yet? Would you buy it for yourself or someone else for the holidays? 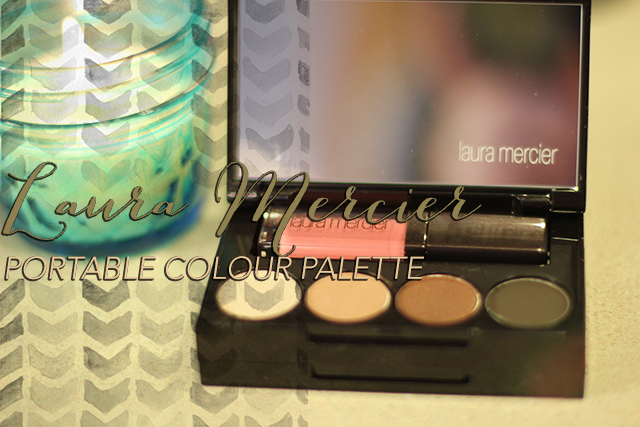 I love Laura Mercier, and that’s a cute travel palette. I wish they’d give a small lipstick or decent brushes instead of gloss that I don’t really use. And definitely a mascara. I’m thinking about the UD On the Run palette but not sure I want to get involved with the craziness of the launch. Love the look you created and your glasses are terrific! You are too kind! I saw the UD On the Run but decided to pass. I wish they had a lighter highlight shade in there. I hate getting caught up in a new launch. Totally feel ya on that one! That looks like a amazing palette. 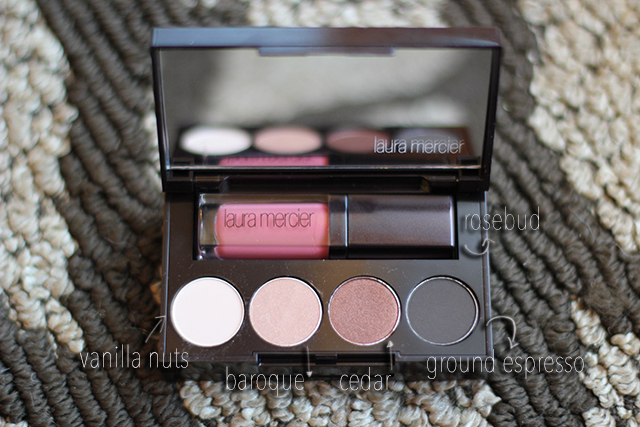 I love love love Laura Mercier products. Everything has been phenomenal! those shades are so flattering! This is pretty darned good deal! I have this palette. It is really perfect for staple things. I love your look here! So pretty!! Definitely love that lip color. Such a simple yet classic look. I’ve really been trying to pack less for trips too and have been doing a decent job at it. My nature is to overpack but there’s no way I could possibly need everything I use to pack! love the palette but I love your eyeglasses more!!!! You are adorable! The palette shades are lovely but nothing unique so it would just be a great travel item for me. Such a gorgeous palette! Love the look you did! Cute palette! You look pretty!!! That is a beautiful palette! I like doing a more dramatic eye with my glasses- they’re so thick, sometimes my makeup gets lost. 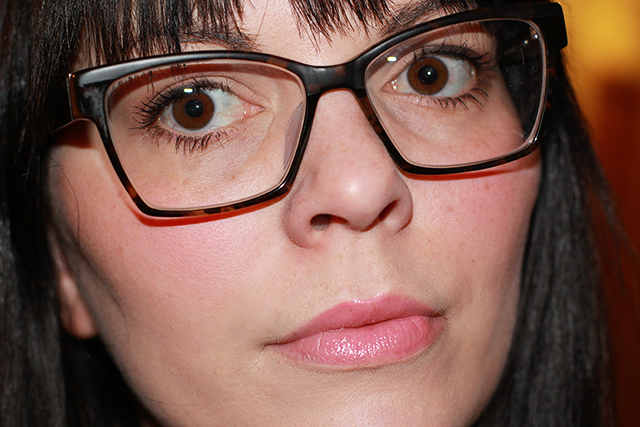 This simple look is perfect with your glasses, though, and I love the lippie! I think your eyes look great in those glasses! I LOVE that gloss! This palette looks great on you and I think it’s universal to anyone. I kind of hate myself just a little now because after some splurges, I’ve been trying to not shop, but I WILL get this set!!!! I like your glasses, too.